What’s not to love about an old, sad toddler potty covered in 60-year old pee right? Wait until you see what it bloomed into! Last summer, Hubby and I took a long weekend get-away over the 4th of July and drove down to North Carolina to see the Rolling Stones in concert (#bucketlist). We then took the long and windy and scenic route back home through all of the small towns between Raleigh and Alexandria, stopping at as many antique stores, flea markets, and yard sales as we could. At one of the antique stores, Hubby heard me squeal and then saw me running down the aisle towards him hugging an old vintage toddler’s pee pot. The store lady was laughing, and Hubby was rolling his eyes wondering what I had in store for this most awesome find. “Next spring, I’m going to make it into a planter!” I announced, still hugging the pee pot and jumping up and down. I took Stepson with me to Home Depot to pick out the paint color. I knew I wanted it to be bright yellow. He was more than excited to pick out the brightest and happiest yellow in the store. Either that, or he wanted to get back home to play his video games. The yellow wasn’t enough, though. It needed something more. I found these pre-made adhesive stencils and thought they were perfect. 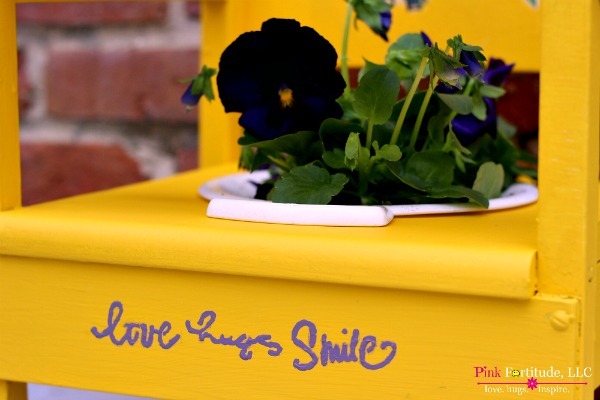 My tagline for Pink Fortitude is “love, hugs, inspire,” but “smile” is close enough, don’t you think? Rather than sanding down and painting over the modge-podged butterflies, I decided to keep them and paint around them. 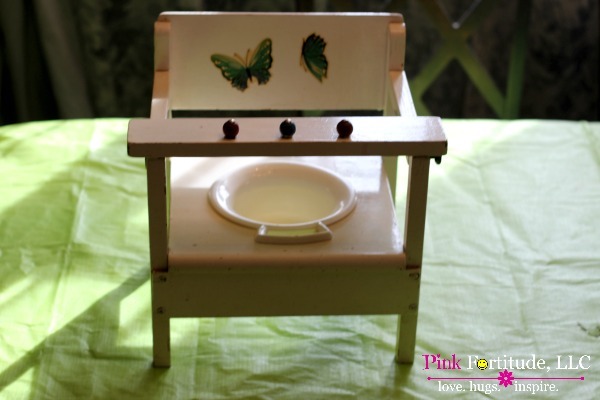 Sixty years ago, some Mom thought it would be a good idea to add the butterflies to her baby’s new toddler chair to help (him/her) potty train. I couldn’t undo perfection. And the butterflies work with the planter flower kinda vibe I was going for. Hubby drilled three small holes in the bottom of the dish to help with drainage. So of course, I’m trying to find flowers at the end of winter and before the spring inventory. When I say that nothing was available, I mean… nothing was available! But I did finally find some pretty purple pansies. Overall, it wasn’t a difficult project… a few coats of paint and some TLC and now flowers are blooming! I hope you enjoyed my potty project! Love, hugs, and bloom where you are planted. What a fun and pretty project. I really would love to go thrifting with you someday, Holly. 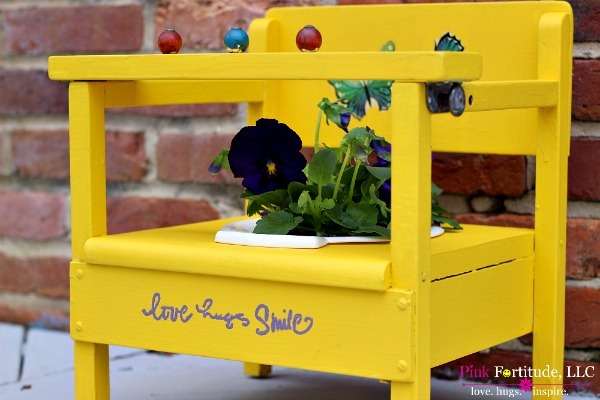 Super cute and you have such great vision to see something like a toddler potty and turn it into something so amazing! I love how you repurposed the potty in such a beautiful planter! 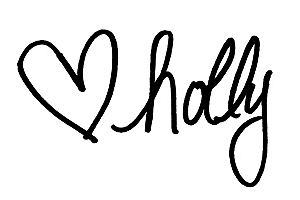 Visiting from the #DIYMySpring Blog Hope! Love the bright colour you won’t miss that in the garden. Great upcycle ! This is sooo cute. 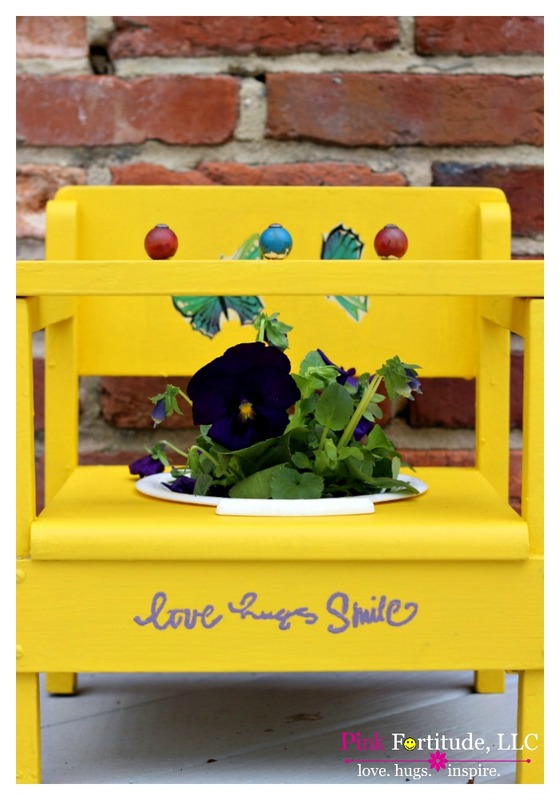 I love the cheery yellow and pretty pansies! This is so funny and clever! This is so, so cute and clever too!! It turned out great and it so bright and cheerful, too! This is so unexpected and FUN! I love your creativity! Haha! So fun!! I love the bright yellow that you used. You know that’s why this works, don’t you? So fun!! How clever and cute this planter is! I would love for you to share this gem of a post on Thoughts of Home on Thursday. What a darling makeover! Your description cracked me up, and it resembles NOTHING like it is now! So pretty! Oh my gosh!!!!!!! 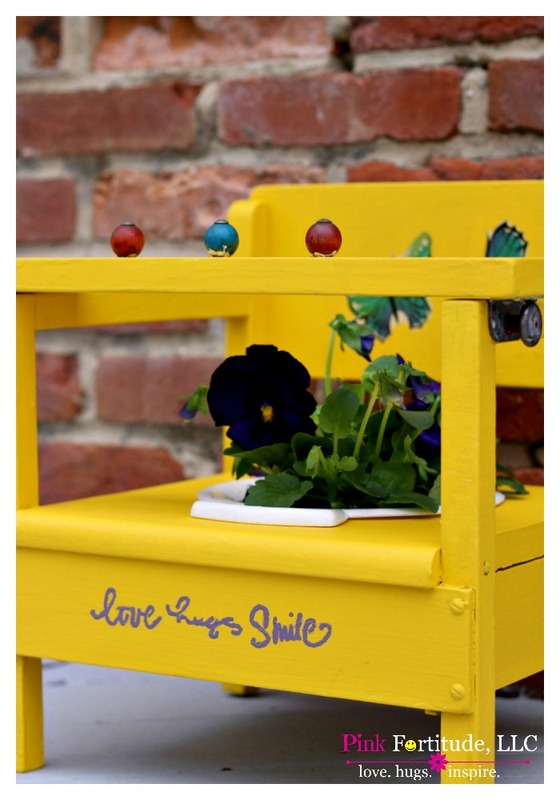 This is soooooooo cute ans such a great upcycle! 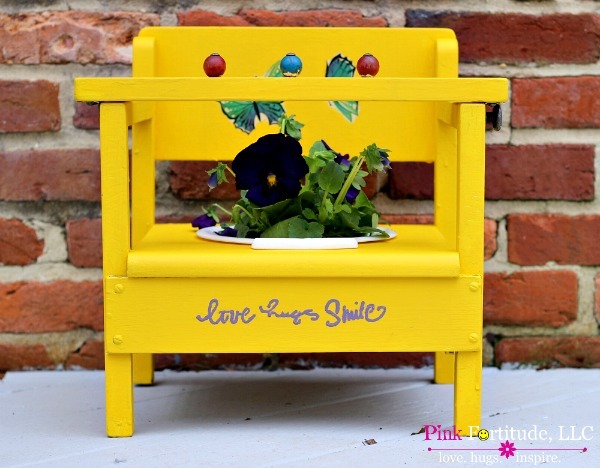 Who would’ve thought to turn a potty into a gorgeous planter!?!? I love it! It turned out beautifully! Love it, so original and creative! Great vision to see a planter from a potty! Visiting from The 36th Avenue. This is so super fun! Love the color and how you transformed it. This is beyond cute! That color you chose is perfect Spring Yellow! And don’t mind about the pee is has turned into perfume after so many years. This is so cool. Love it. I still have my sons, all three of them, their potty chair, my oldest will be 41 on April 1st. what a great inspiration. thank you!! sincerely!! So cute ! How did you get the butterflies off in one piece? I have very old decals on a bureau my father made for me but I think they will desinigrate if I try to remove them?? ?